Basic Membership Listing - Introductury Web Exposure. PREMIUM Membership Listing - Better Exposure! Extra Services available to Premium members - ONLY $5/mo. 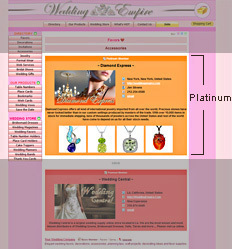 PLATINUM Membership Listing - BEST Exposure!!! Extra Services available to Platinum members - ONLY $5/mo.